SOUTH CAROLINA: GOP Gov Issues Order Allowing Foster Care Agencies To Reject Non-Christian Parents - Joe.My.God. Gov. 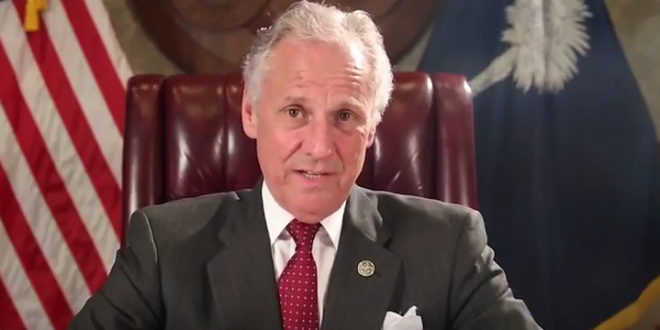 Henry McMaster is coming to the defense of an Upstate foster care agency that requires participating families to be Christian. McMaster issued an executive order Tuesday that allows foster care providers to discriminate based on religion without losing their license. For nearly three decades, Greenville-based Miracle Hill Ministries has only allowed foster children to be placed with parents who share the organization’s Christian beliefs. That practice has come under scrutiny since a new regulation took effect toward the end of the Obama administration, which prevented publicly licensed and funded foster care agencies from servicing specific religions. See the executive order here. In a separate action, McMaster has petitioned HHS to be exempted from the Obama-era regulation. McMaster moved up from South Carolina Lt. Governor upon Trump’s appointment of Nikki Haley as UN ambassador. He is running to hold the job in 2018.